Fujirebio is a global leader in the field of IVD testing with more than 50 years’ experience in the conception, development, production and worldwide commercialization of robust IVD products. These span the range from specialized testing to fully automated routine clinical laboratory testing solutions covering a variety of disease states. The INNO-LiPA CFTR Extra is an assay for the detection of 18 new disease-causing cystic fibrosis (CF) mutations with a high frequency in local European regions. 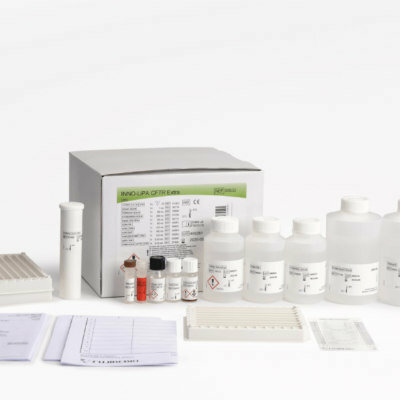 With the new product, Fujirebio now offers a total of 88 disease-causing mutations and optional poly T testing, increasing the overall detection rate for cystic fibrosis to at least 91,8%.